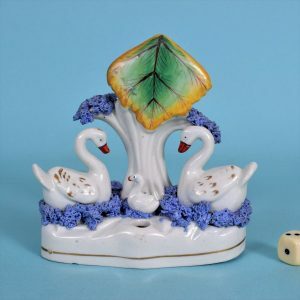 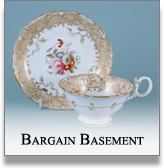 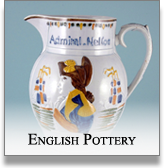 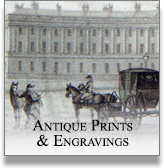 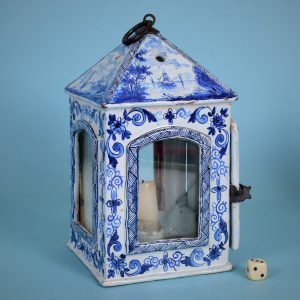 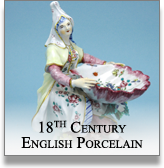 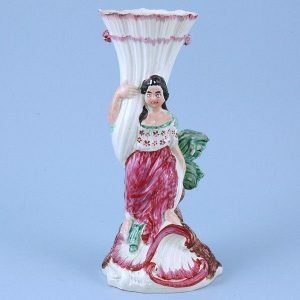 English Creamware Figure with Cornucopia Spill Vase. 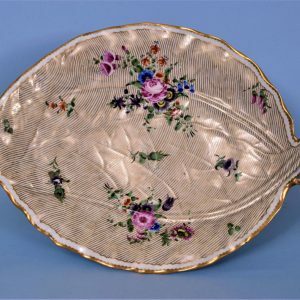 Worcester Porcelain Leaf Shaped Dish. 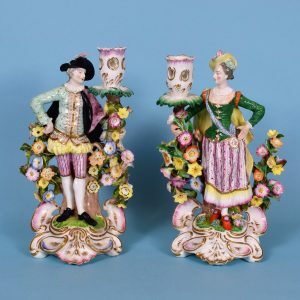 Pair of Derby Porcelain Candlestick Figures. 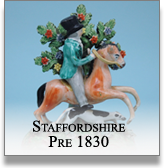 Derby Figure of a Hairdresser. 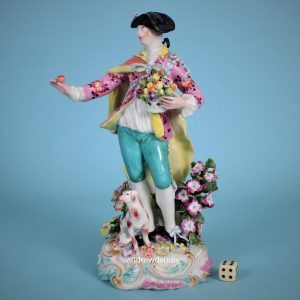 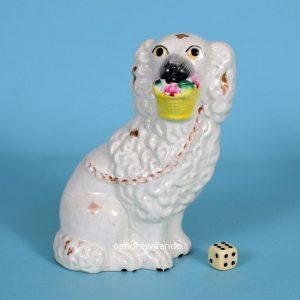 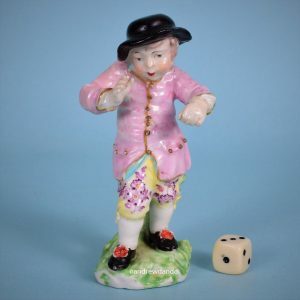 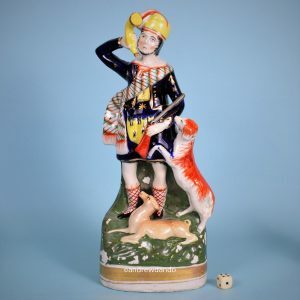 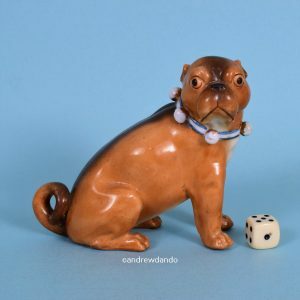 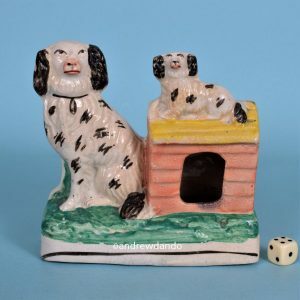 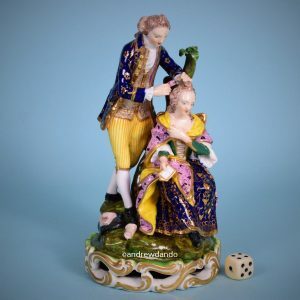 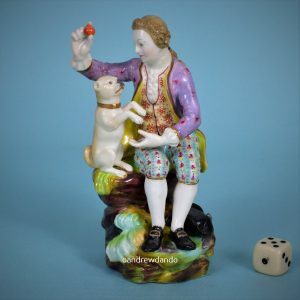 English Porcelain Figure of a Man with a Pug Dog. 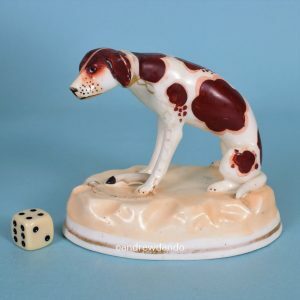 Staffordshire Porcelain Model of a Hound. 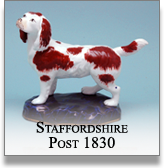 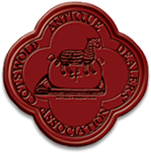 Staffordshire Spaniels & Kennel Group. 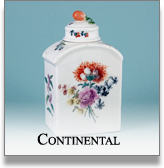 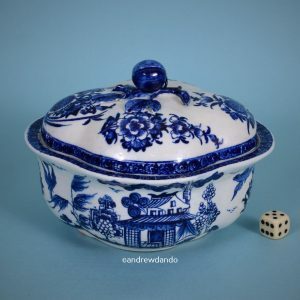 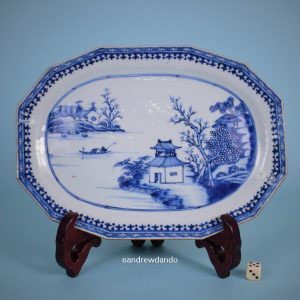 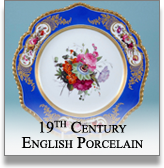 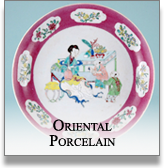 Chinese Export Porcelain Small Platter.